Welcome to Book Monsters HQ and down to business: my very first book recommendation! This first review goes out to a pair of picture books that deserve recognition for their storytelling, illustration and pure joy! They are by author / illustrator the great Adam Stower. First up, released in 2013 was Troll and the Oliver. Telling the tale of the Troll and his many failed attempts to capture that quick, cheeky “thing”, the Oliver. At first glance the front cover pulled me in with the clever cutout design creating depth and interest and just begging to be opened and read. 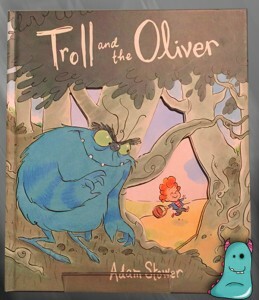 What I love about this book is the clever change of point of views within the storytelling, told initially from the view of the Troll, on then to Oliver’s (when Troll suddenly vanishes) and finally to the conclusion focusing on both fantastic characters. The writing is exceptional, lots of laughs to be had and just perfect for reading aloud to children (or yourself if you’re that way inclined … I was). The writing would be enough to warrant a gold star, but the illustrations just crank it up another notch. It’s the characterisation that really brings Troll and the Oliver to life, the troll pulls faces a professional gurner would be proud of, so you are left in no doubt of what this great character is thinking and feeling. With a bright, loose style the pictures are appealing to children of all ages. Truly a joy to read! On the final page is a recipe to make your own Troll cupcakes. What a “sweet” (in every way) and unique addition to the end of a book, allowing children to explore and experience the book in other forms! I haven’t as yet, tried these delicious creations, but as soon as I do this page will get an update! Now, onto the sequel – Grumbug!! Who dares to say sequels are never as good? 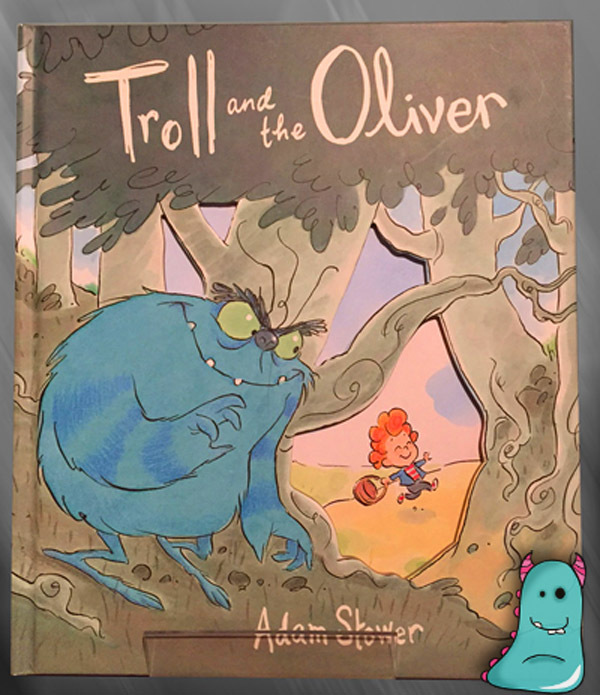 This book contains more trolls, more Oliver (and his cheeky little sister of course) and worst of all, the terrible, terrible Grumbug!! When Oliver’s sister goes missing, it’s up to him and his troll friends to rescue her from upon high where “towering terror” the Grumbug resides. I won’t spoil it by going into too much detail, but the illustrations throughout this gorgeous book again are exceptional. It has, dare I say it, even more detail and personality injected into it than Troll and the Oliver if only due to the abundance of trolls, of varying shapes, sizes and colours!! 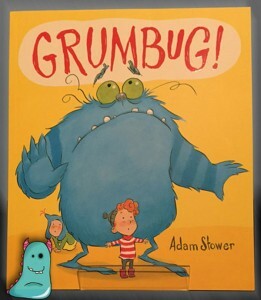 Grumbug is a great, fun story which I genuinely chuckled out loud at during reading, while gazing upon the expressive pictures on every page. There is just no let up. Both of these books make for a great double story telling, which has always gone down a storm at my library! If you are still undecided, let me just tell you, in these books there’s cake, lots and lots of cake ….